Boca Pointe Real Estate! Boca Pointe properties homes for sale, condos, Apts, Condominiums, Apartments for sale. Boca pointe real estate is what you want to buy your next home. You can find your home right here in boca pointe from condos, townhouses, single family homes, and villas the Hershon team realtors is here to help you find the right home. Find the right homes for sale in boca pointe and let us find the best real estate for you! The Hershon team can help you find the right apt, condo, condominiums, homes for sale, in boca point. Let the Hershon Team be your realtors and help you find the homes for sale and get to the point. Real Estate is what you want to buy weather its investing or buying for your family, we are the experts and can help you fine that special, condo, apartment, condominium, and or rental. You are located right near the country club in boca raton florida. We are the best at what we do, and let us help you find your homes, condos, condominums for sale in boca point! Boca Pointe Realtors - Experts in Boca Pointe Real Estate! Welcome to the Boca Pointe Country Club, a prestigious gated community in Boca Raton, Florida. We specialize in Country Club communities and other upscale residential communities in Boca Raton, Highland Beach, Delray Beach, Boynton Beach, Palm Beach, and Deerfield Beach. Boca Pointe is a beautiful community of condos, villas, townhouses, luxury mid rise condos, and single family homes. The prices range from about $180,000 for condos, to over $1,000,000 for custom single family homes. Our mission is to provide you, our customer, the finest in personal and professional service. Whether you are buying, selling, or renting, you will receive our dedicated attention to every detail of your specific interest. 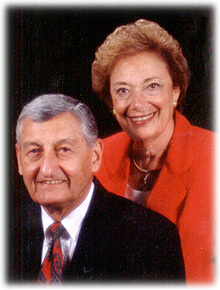 We are residents of Boca Pointe, as well as equity members of the Country Club. We have lived in Boca Pointe even before it became an equity club in 1988. We love the community, the people, and the lifestyle. We are enthusiastic experts in the community! We are also experts in other country club cummunities such as Broken Sound, Woodfield, Polo, Stonebridge, Addison Reserve, Mizner Country Club and St. Andrews. For those who do not wish to live in a Country Club lifestyle, we are intimately knowledgeable with other lovely communities throughout Palm Beach County. We can show you new construction or resales in many beautiful developments, either waterfront or inland, gated or non gated. The Hershon Team has been in real estate since 1986. We have over 30 years combined expertise and multi-millions of dollars in sales. Our business is primarily referred by our many satisfied customers who appreciate the professional quality of our service. Give us the opportunity to show you what we can do. Call The Hershon Team today! Interested in Real Estate in Boca Pointe? "BOCA POINTE NEWS & REAL ESTATE VALUES"
boca pointe real estate rentals and great homes for sale. We can help you find your realtors apts, condos, apartments, and homes in boca pointe realtors. Right now the real estate and realtors can help you find great agents right in boca pointe and near the country club in boca raton florida realtors. find your home, real estate, realtors in florida here! Boca Pointe Real Estate and Realtors!